Listen to "21 Lessons for the 21st Century" on your iOS and Android device. If you like doomsday prognosticators then this book is for you. People who forecast “the end is near” have been spotted on street corners for centuries. I had to quit after almost 2 hours into the audio. 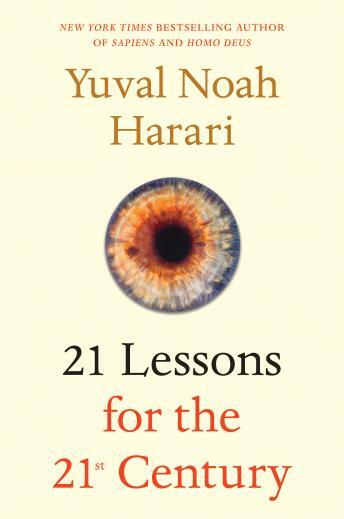 Harari seems obsessed with The Evil Donald Trump, liking him to the worse thing to hit the world since WWI and WWII. Really? Doesn’t he know Trump will be forgotten 20 years from now? Extremely thought provoking, particularly the growing impacts of technology and AI that we know is coming in next decade. Recommended reading for anyone willing to listen to challenges about our future.